They've gotten state legislators to introduce a bill. 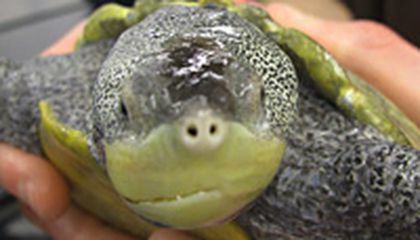 If passed, it would make it illegal to catch or take diamondback terrapins from the wild. It would require the state to investigate ways to protect their population. The students attend Manahawkin's Marine Academy of Technology and Environmental Science. They have been studying and trying to protect terrapins since 2002. 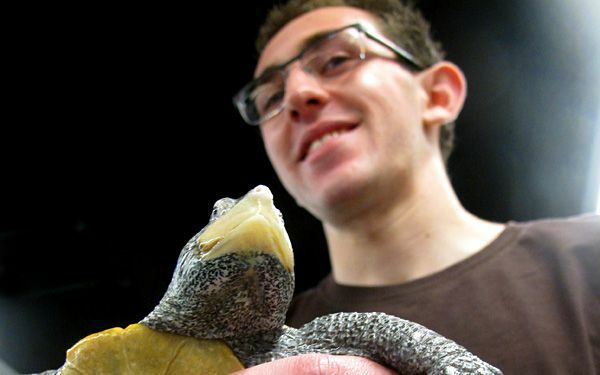 They want to help educate the public about them and research the number of turtles. Cars kill many turtles each year. Their habitat in coastal marshes is also shrinking. Michael Signorelli says he and other students in the school's Project Terrapin are excited at the prospect of legal protection for the animals. They have studied and cared for them over the years. The bill would remove terrapins from the state's game list. It would end a confusing situation that once had them listed as a species of special concern. At the same time, they also are a list of animals approved for hunting. John Wnek is the school's supervisor. He said the population of terrapins on Sedge Island near the Barnegat Inlet has been declining. It's down from about 100 in 2002 to the low 70s now. And 21 percent of the animals that student researchers catch show signs of injuries from boats. Wnek said the turtles were widely hunted for food in the 1880s. They are more in demand now as pets, he said. The students contacted Sen. Jeff Van Drew. He sponsored the bill with Assemblyman Bob Andrzejczak. "It's a good lesson in civics," Van Drew said. "They had an idea and reached out. And now they're actually making something good happen." A group of students are saving a creature. The creature is a very great species known as the terrapins. They have been living in decline for quite some time now. Between the marshes that are shrinking for them and all the cars that will run over them the students wanted a change. They contacted a senator the turtles will be saved! I think this article is interesting because the tutrle is one of my favorite animals. I really like this passage because turtles can be very important in our life. I also think this passage is good because just think if you were a little turtle and some one killed you for no reason that just isn't right, because it is just like someone killing you or harming you for no reason so the big reason I really like about this is they are trying to take up for all of the little turtles. last there is one lesson you could learn from this passage and that is ; try being in there shoes. Turtles are lucky because they are saved from teens. But elementary or middle school should say to the government to save turtles. So today turtles are saved so they have a lot of species. We should all protect the turtles. Critical thinking challenge: What do the " slow and steady efforts of students" have in common with turtles? Answer: They are loved by everyone.